McFeels and Ethnarch bring you the much-anticipated deep-dive on the 22 U.S. House battleground races of the 2018 midterms. If you don't know your Congressional district, you can go to https://www.house.gov/representatives/find-your-representative and input your ZIP code, and it'll provide your district name and number, and the name of your current Representative. Is that a spotlight the diver in the picture is shining or is he placing a klan hood over the chamber? USLibertees is dicking me over, they have not replied to my emails, and it’s been a month of me emailing them. Please find another supplier of Merch. I don’t know who to contact at FTN or where to try to get this resolved on your end, so I’m leaving a comment. Decision Desk now giving GOP House control odds at 5.2%. Bleak. Any comment? The idea of Maxine Waters with actual power is sickening. I noticed you guys didn’t talk about VA-10. Comstock is a cuck but she’s GOP. The polling is terrible but seems like typical BS. Is Wexton a shoo-in? Can’t believe I get the best analysis for free. I agree with your weapons grade hot takes. I think the noisier the run up to the election is the better the GOP’s chances. Already early voted in a competitive cuckservitive district. Got four gen z friends to come along with me today. That’s it, brother — we need more like you! I listen to these on my drive to work. Can we get a written breakdown so I can make my bets and compare after tuesday. FtN has only called one election wrong as far as I can remember, and that’s Roy Moore, but only after FtN selected Luther Strange as the best candidate. I believe there’re written summaries on fashthenation[dot]com. How would you guys feel about transcription or captioning? My brother is hearing impaired and always enjoys reading summaries and articles at FTN’s main page. He also enjoys when I sign to him some of the more colloquial or memetic subtleties of the language that’s actually used in the audio. Not sure if you guys have considered it before, or if there’s much interest in that. I have no idea how many hearing impaired or deaf folks there are in the movement, but its just a thought. I’d be willing to do it for free. It’s something we’re interested in, and will be looking into in future. Luther Strange was the establishment pick. We wanted Mo Brooks, but he was eliminated in the primary. We only said this about 8 times in each deep-dive episode, heh. > Long story short, it would not surprise me if Young loses even in a deep red district. Could be. We’ll keep our fingers crossed, & we appreciate the report from the field. > I told all my friends and family there to vote Young if they want The Wall. will there be a TRS livestream on Tuesday night? Yes – we are going to be doing a livestream. Details coming soon. Stahp…I can only get so excited. Minnesota district 1 here. I early voted and held my nose for Republicans down the entire ticket. Good for you, brother! I know it’s difficult, sometimes, but that’s what we need, just now. My guess is the Maronite community wouldn’t be proud of that fact. @ ethnarch -I know this is the house but I am wondering your option of senate race in Va – Corey Stewart? He is not going to win but what is your opinion of him? He seems sound on most issues, from what I can tell. Thanks . N VA, Richmond, Roanoke and some of the eastern shore unfortunately determine elections in Virginia. Another reason we have to eliminate the H1B. NOVA is crawling with these parasites. Fantastic and fair analysis. The left cannot come close. Delightful deep dive, my dudes. great coverage, thank you for the work yall do. Another fine deep dive by FTN. Thanks Goys! Betting sites are giving 2/1 odds on a Republican House majority, might drop a cheeky bet on it. I guess they aren’t willing to put their money where their rigged polls are. I got 9:2 odds on Trump winning back in October 2016, I still wish I’d waited until the election night itself when the odds were jumping around like crazy. Wow, election night coverage! What an incredible treat. Thanks so much for the great analysis of this election season. FTN on Saturday! Good stuff. Thanks for all the time and research that goes into these Deep Dives. I heard a clip of who I think was Corey Lewandowski when asked about the caravan say “What if this was happening on Israel’s border?” but can’t find it anywhere now. Can’t wait to listen to this on the way to work tonight! I’m thrilled that NY19 is being covered. I’m mobilizing my whole family to go out and vote straight R.
This is exactly what’s needed — good work! Wow. Thank you Jazzhands, Ethnarc and Marcus. This is great analysis of the house races. 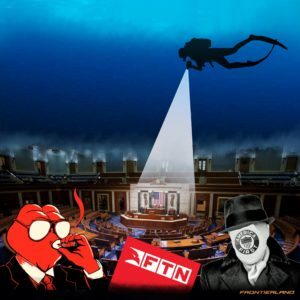 Many thanks to FTN for the timely commentary. Great show. Really appreciate the effort that went into this. 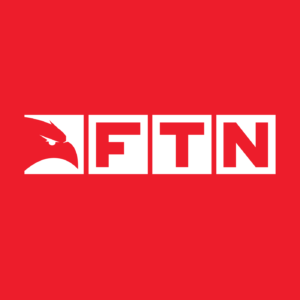 As always huge thanks to Team FTN. Fingers crossed, either way, no surrender. Donna Shalala is the female version of Danny Devito. Oh by the way don’t forget a Demonrat Judge in Pa threw out the Congressional Map and drew one favorable to Dems to the point they’ll pick up four seats. Our model tales this into account, thanks. I never thought I’d say this but it is either get on board the FTN Train or end up like Zimbabwe or South Africa. The overt White Hatred by the certain ethnicity that controls the media will never go away. We have to stick together and push our interests or get murdered and our assets seized by folks who wouldn’t know an honest day’s work without a dictionary. Which way White Man?…….Which way? McFeels for speaker of the house!